It’s April Fools Day but we aren’t fooling you with this one. The second season of Sacred Games will release on Netflix soon but till then, you can watch FRIENDS on the OTT platform. Kubbra 'Kukoo' Sait, Jatin 'Bunty' Sarna and Jitendra 'Katekar' Joshi announced the news in a video that has been made available on the official account of Netflix. FRIENDS, which was earlier available on Netflix US, is now streaming on Netflix India. Yes, we know you can’t wait for Sacred Games Season 2 but till then, FRIENDS can satiate the excitement. Koi bolta hai sach hai, koi bolta hai mazak, par mandala kabhi kisi ko samajh mein nahi aya. FRIENDS is an American television sitcom and aired from 1994 to 2004 through ten seasons. 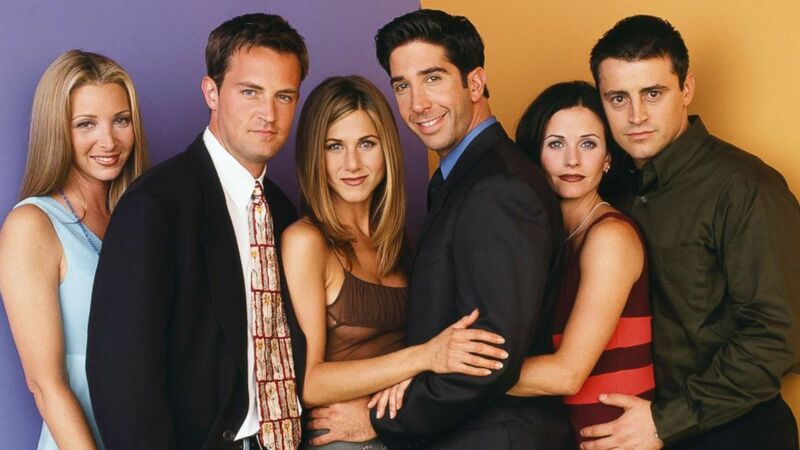 It featured Jennifer Aniston, Courteney Cox, Lisa Kudrow, Matt LeBlanc, Matthew Perry and David Schwimmer. The show depicted the life of six friends based in Manhattan, New York City. Sacred Games, based on Vikram Chandra's 2006 novel of the same name, was the first Netflix original series in India. Directed by Vikramaditya Motwane and Anurag Kashyap, Sacred Games premiered on Netflix in 2018 and was immensely popular. The series featured Saif Ali Khan, Nawazuddin Siddiqui and Radhika Apte in the principle roles. The release date of the second season is expected to be announced soon.